So I got this weird box in the mail today and started googling for it. 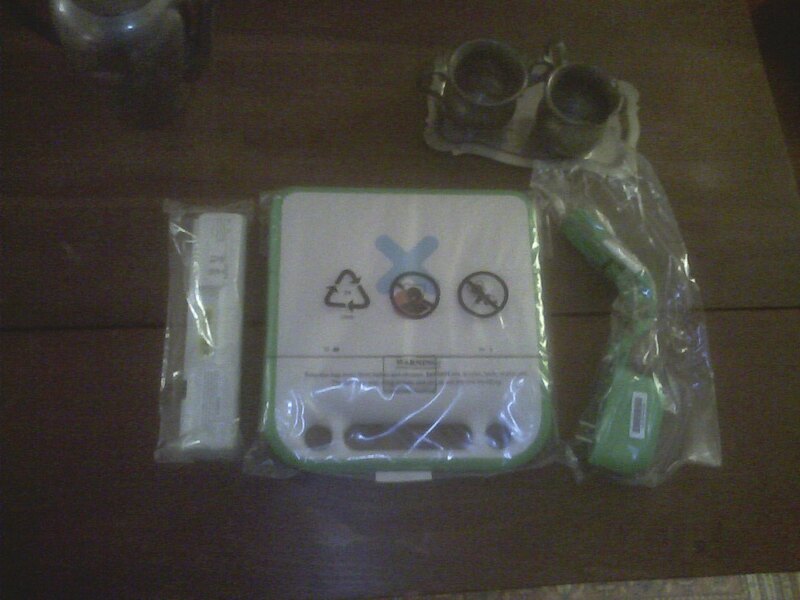 I didn't find anything via google, but looking closer at the FedEx & contents stickers I noticed "OLPC XO" on the side! 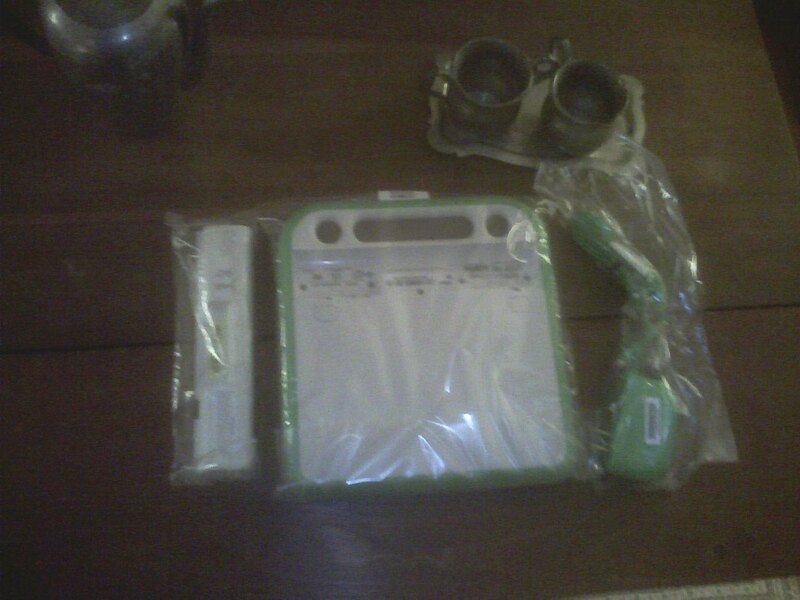 My OLPC had showed up! Somebody asked for pictures so here's the top & bottom... After getting a closer look at what all is on it I'll make another post.